Early this morning Braves pitcher Cristhian Martinez became the latest reliever to hop into the drunk tank with an apparent deep thirst for horrible press. Yes, another MLB-related DUI. 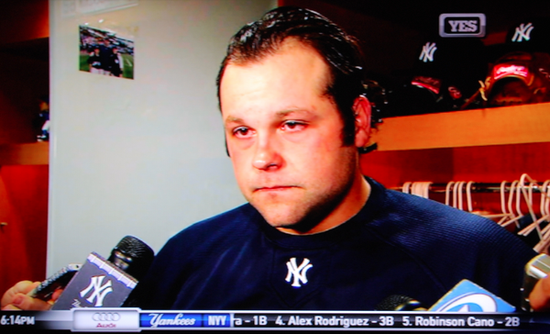 A little over a week ago, frequently embattled Yankee Joba Chamberlain somehow managed to rip his ankle to bloody shreds simply by jumping on a trampoline. That same day, seemingly bored of calling the 60-day DL his home, tubby reliever Bobby Jenks was arrested for DUI, property damage and leaving the scene of an accident. The day before that, former No. 1 overall pick Matt Bush was arrested after hitting a 72-year-old motorcyclist in a hit and run DUI. And two weeks before that incident, the Mets freaking bullpen catcher, Eric Langill, was charged with DUI after crashing in a "single-car rollover" at a traffic circle in Port St. Lucie. In short, if you're a reliever for a Major League Baseball team, you must do something asinine, and you must do it now.